My Kindle has a funky little new feature that I’ve grown increasingly fond of over the past year. Traditionally, every time one holds their finger down on a word, it comes up with the definition. It’s an incredibly useful feature, and one that I now find myself sorely missing in physical books. (Looking up words in a separate dictionary? What am I, an animal?!) 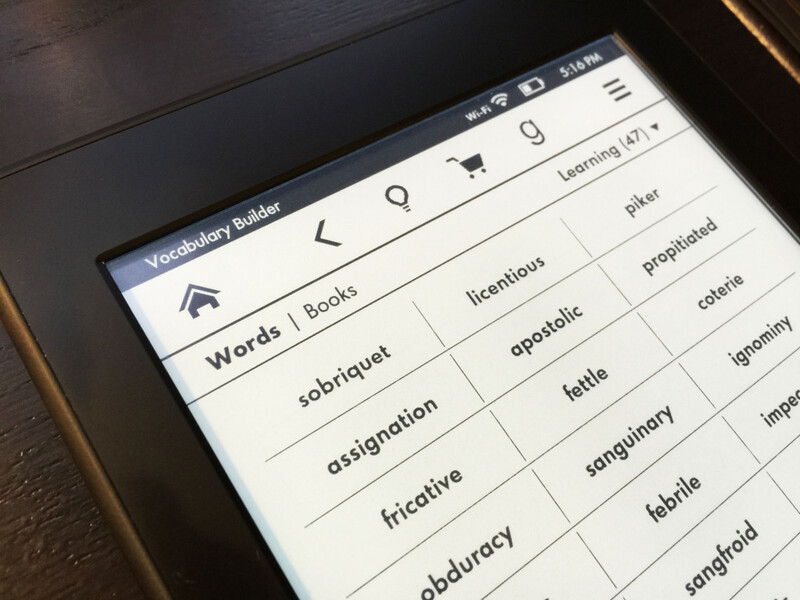 However, with a Kindle update last spring, this feature now also tracks all the words you looked up and puts them in a big list called ‘Vocabulary Builder’. It’s more like a ‘Vocabulary Walk of Shame’, but it amuses me to no end. So here are the words that I had no clue what they meant this year. I blame the majority of these on Rick Atkinson , who might have the most absurdly large vocabulary of any contemporary historian I’ve ever read. So if you know of any of those, congratulations, you are smarter than I was in 2014! I feel slightly redeemed in that even my spell checker doesn’t know some of those words.